Photo Credit: Dan Scavino Jr.
Donald Trump has had a long, grueling weekend in his role as POTUS. The U.S. President traveled to Canada, where he worked hard to alienate allies before leaving the G7 summit early. Then he traveled to Singapore, where he met with North Korean leader Kim Jong Un and made concessions on behalf of the United States while only receiving repeats of previous promises from North Korea, and failing to cement any means of actually enforcing the agreement. After all that, it’s no wonder Think Progress is crediting Trump’s exhaustion for the blatant admission that came in a press conference at the end of the weekend: Trump admitted that if he’s wrong about the agreement with North Korea, he’ll make excuses instead of being honest about the error. Finally, asked what would happen if Kim violated the promises, rather than discussing sanctions or enforcement of any kind, Trump spoke of how he’d cover for himself to the American public. Honestly, I think he’s going to do these things. I may be wrong. I may stand before you in six months and say, ‘hey, I was wrong.’ I don’t know that I’ll admit that but I’ll find some kind of an excuse. Before the meeting, Trump tweeted to assure a positive outcome and that the trip would not be wasted. 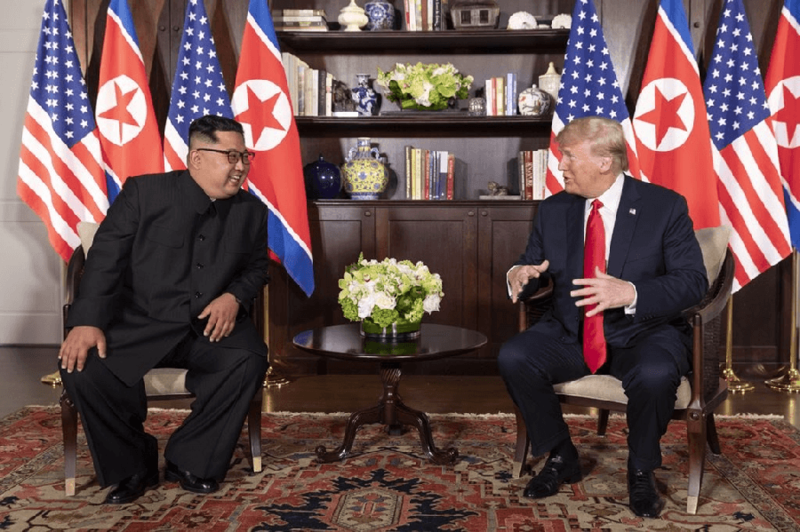 However, the New Yorker noted that the brief agreement didn’t meet standards previously sought by the U.S., in that North Korea’s end of the bargain did not include that their denuclearization would be verifiable or irreversible. With this shortcoming, the agreement actually falls short of previous pacts between the U.S. and North Korea.